Chucklefish's Wargroove arrives on Switch today, and boy was it worth the wait. Dubbed the spiritual successor to Intelligent System's Advance Wars series – with a spot of Fire Emblem thrown in for good measure – we awarded it a thoroughly-deserved 9/10 rating in our review. If that glowing critical appraisal still wasn't enough to convince you of the title's many merits, then allow our resident video guru Alex to show you seven – yes, seven – cool things about the game you might not be aware of. Enjoy! @Spectra I would guess no. It seems you liked FE and Disgaea for the unique personalities in the games. 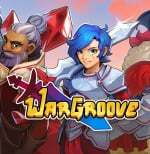 Wargroove and AW does not have unique individuals beside the leaders. You produce units which you would throw at opposing units without any emotional attachment. @misterMike it's a Nintendo thing you know, look at 7.0.0. How else would you travel to Portugal and make friends there. @misterMike honestly I hope what your saying is sarcasm because language support is important. @misterMike Thanks goodness, then, that we've got your amazing comments to fall back on, otherwise people might stop visiting. @Spectra I'd possibly stay clear. Sounds like it really could be hit or miss for you. I think a demo would have been a great idea on a game like this. I still really need to try Disgaea. @Spectra If you're curious if your tastes have changed, Mecho Wars is very similar to Advance Wars, currently on sale for $5 down from $10. I played Mecho Wars a few years back on PS3 before playing Advance Wars on Wii U and I liked MW better, mostly quicker battles. Not really any character development though, mostly just fighting, so if you know you really dont' liek AW you probably wont' like this either. But $5 is a cheaper way to find out than $20. After several hours playing this I honesty think that this is its own game, yeah it takes inspiration from Advance Wars and Fire Emblem but it does it's own thing and has a lot of new stuff to offer. The amount of content so far in this game is astounding for a 15 quid game. As a developer and publisher Chucklefish have really nailed it with their games, they can do no wrong in my book . @Spectra It has a certain charm and character going for it that sets itself apart from Advance Wars. The trailers make it look like its just a fantasy version of those games but to me its more to it. The characters themselves may be something that could bring you into this game. Perhaps watch a youtube video of someone playing it for half an hour and then decide. @misterMike Effective journalism, especially reviews, requires opinions. If you don’t agree with the score, that’s not opinion. Bashing the person that took the time to make it is just baseless. It’s also funny that you are claiming this can barely be called journalism. Have you seen major news outlets? @misterMike If you had a genuine concern about the quality of the site, and wanted to see it improve, you would use language in a way that might actually effect change. There are ways to communicate that are effective, persuasive, and useful. But you're not doing that. You're spewing toxicity for personal satisfaction and returning to a site you clearly dislike in a vast universe of gaming news and media, time and again, vomiting crap for attention. Instead of acknowledging differences in opinion, you dehumanize those that disagree with you through labels (fanboy, etc). You've done nothing useful. Everyone involved has been lessened by your comments, including yourself. You should hold yourself to the same standards to want from your news. I would be tempted if it did actually come out physically. @misterMike If you feel this site is toxic, there’s always gonintendo and Nintendo Everything. @misterMike I just re-read the Downwell review and even did a ctrl-F for the word "ultimate." Nothing. They do argue that the Switch is the "very best way to play" due to the console's "natural facility with vertical orientation" and " a plethora of control options." But no where do they describe it as the "ultimate version," implying added content or anything. They do argue that the ease of TATE mode and the natural Switch options for different controls and play styles, makes it the best way to play, and for many of us, that's 100% accurate. @Damo Yes, be snarky with your readership (ie. the people who pay you by looking at your ads). Solid move. @Galenmereth I'm being snarky with one person, not the entire readership. If you think we somehow have to accept every piece of baseless criticism levelled at the site with nothing but a smile, you're sadly mistaken. @misterMike Front page title is different than article title, that makes sense. I was wondering where you pulled the word from. They explain why they feel it's the ultimate version: handheld TATE mode. It's true that the handheld argument could be used for most indie games, but its genuinely true for many of us. Vertically oriented games, doubly so. As per your second link, I see no problem with the article. They said "crushed it," which is colloquial and means they did well. They did not say "crushed Sony" or anything like that. Furthermore, although total software sales on the Nintendo Switch platform were behind total software sales on the PS4 platform by 10.2%, Nintendo, as a publisher, managed to have the most total sales. As in, they outsold Sony in self published games. That is relevant because they see a higher profit margin on those titles, and of course Nintendo lives and dies by its first party releases, as we all know. @misterMike Hi buddy - go to Nintendo Everything. Way better than here - they have a Nintendo Everything Podcast once a week that's super dope too. That podcast especially is honest inside baseball about things on their site too (which is refreshing), and while they are fanboys like any of us, they aren't like what Nintendo Life has become (absolutely soul-less and not give an actual crap about it's audience). I stop by NL like maybe twice a week to see if there is anything new, when I'm bored, but this site has become...just a icky hype machine. The specific words and points...yeah, I agree with everything you've said in this thread. @Damo By being snarky (which is different than plain "arguing with") with one person leveling criticism at you, you are inditing a potential part of the audience as wrong/bad/stupid, that may also agree with said person, and that becomes an act of unprofessionalism. And that's bad for business. And this site is just about the $$$ - so may you should back off of him and let him vent. @misterMike You can play with the game vertically without the add on (i prefer on my lap, since handheld is a little top heavy, as the author wrote). It's the ultimate way to play the game and therefore the ultimate version. And Nintendo did "crush it," in that they were only 10.2% behind total software sales on their platform, in spite of the fact that their competitor released years prior and has a much larger install base, and they still managed to have the most total sales of any publisher. Nintendo did well (Sony did too, by the way). We go to game reviews to find people that most align with our taste. If a reviewer often likes what I like and feels the way I feel, their reviews are useful to me. If you feel that the things they find important don't align with your values (vertical orientation DOESN'T make this Ultimate! ), then you can easily keep looking. Jeremy Parish was my go to reviewer for a long time at 1up and later US Gamer before he retired, and oddly enough, he was the one who did the Kickstarter for the $15 accessory you're talking about. @Spectra If you can be patient, wait for the plausible physical version while you are at it. If given the choice, I would have picked up a physical copy over digital but I want it now and they are not offering a physical version yet. @Spectra You're welcome. We're waiting for a sale too. Or for summer break for my kids, school is keeping them very busy this year, it'll be months before they even finish their holiday gift games. @Damo Don't bother with @Galenmereth. Just do what you do best. There's none in Hebrew/Yiddish? I'm offended! Seriously though, Why does it [seem to] take years to translate most Japanese games to English but it apparently only takes months to translate it the other way around? Why not just start by writing all games in English and then translate them to all other languages from there? That seems smarter/quicker/easier? but I know literally nothing about the process..